Hi there! 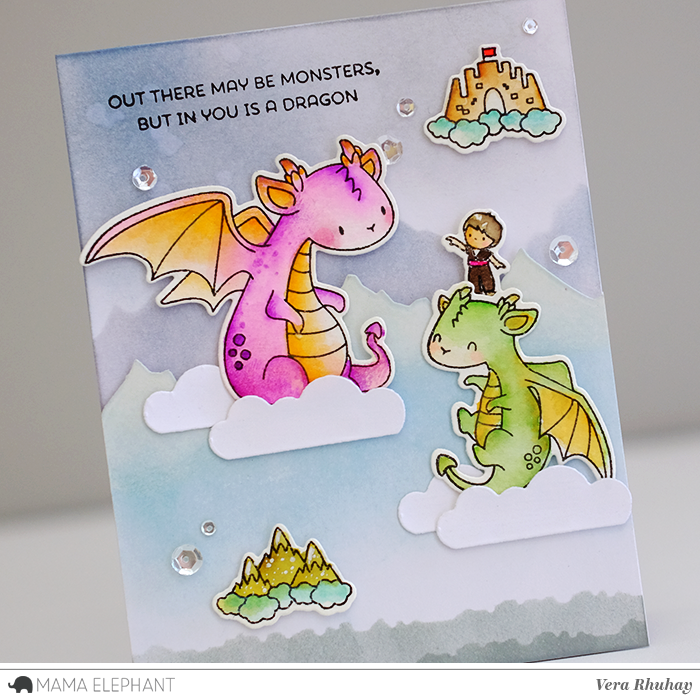 Vera here and today I have a project to share with you featuring the super adorable Me and My Dragon and Kingdom Trio Creative Cuts. 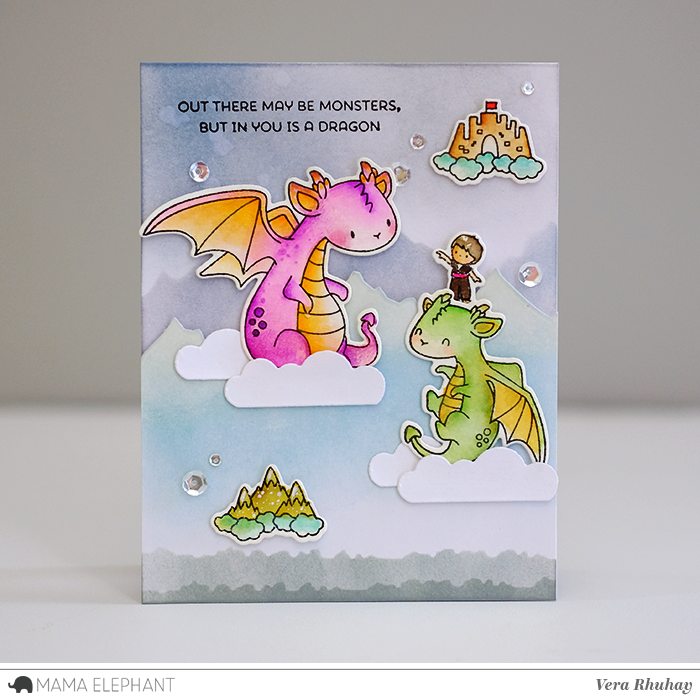 I stamped the images on watercolor paper and colored with Gansai Tambi watercolor paint. For the background, I die cut the mountain and the ground from Kingdom Trio - Creative Cuts as stencil and blended with dye ink pad. The clouds are from On the Hill - Creative Cuts. I added a mountain die cut and popped it up with foam tape. For the sentiment I used Dragon Wishes. Such a Sweet card!! I love it!! 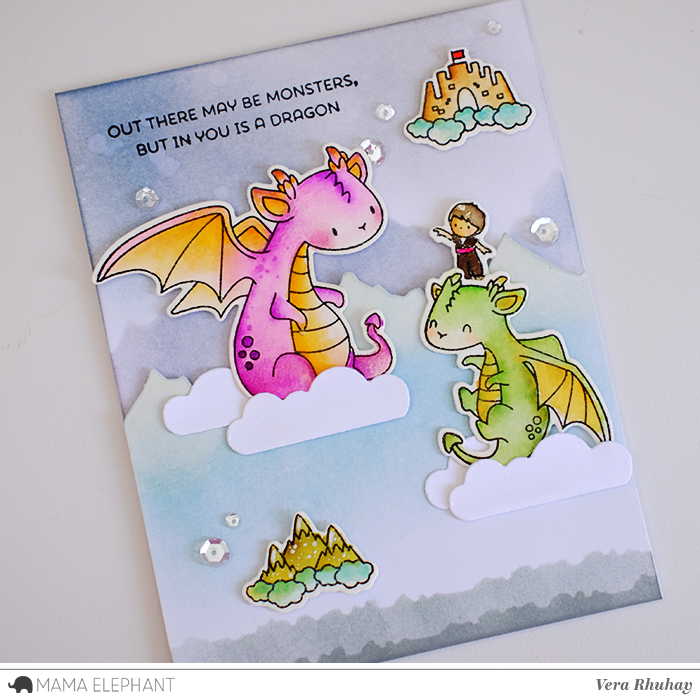 I just love the dragons!! The kiddos are so cute, too! Awesome scene! 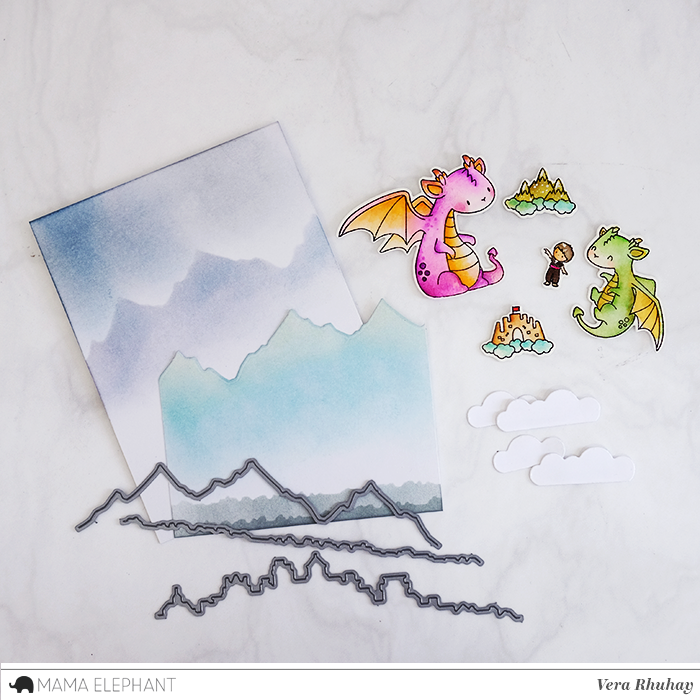 Love these dragons... so much personality!